Baking soda is often found in baked goods and can be a great cleaning product, but it can also be used for a variety of other purposes. A video by Readers Digest shows viewers five ways to use baking soda around their home. From perking up your plants, to tenderizing meat, baking soda seems to be able to do just about anything. To use baking soda as plant food, mix one tablespoon of baking soda with two liters of water. Your plants will be fuller and healthier looking as a result. You can also use baking soda to treat burns. To do this, mix some baking soda into a bowl of water filled with ice, soak a cloth in the ice water, and apply it to the burn. Keep the cloth on until the burned area no longer feels warm. This will not only reduce the pain, but it will also help to prevent your burn from blistering. Baking soda can keep your mouth fresh, too. If you want to freshen your breath after a meal, mix a teaspoon of baking soda in a half cup of water and gargle it. The baking soda helps to neutralize the odors, and it can also get rid of annoying canker sores. The common household substance can help with body odor as well. Using a powder puff, apply a little bit of baking soda to your underarms to avoid unwanted odors. 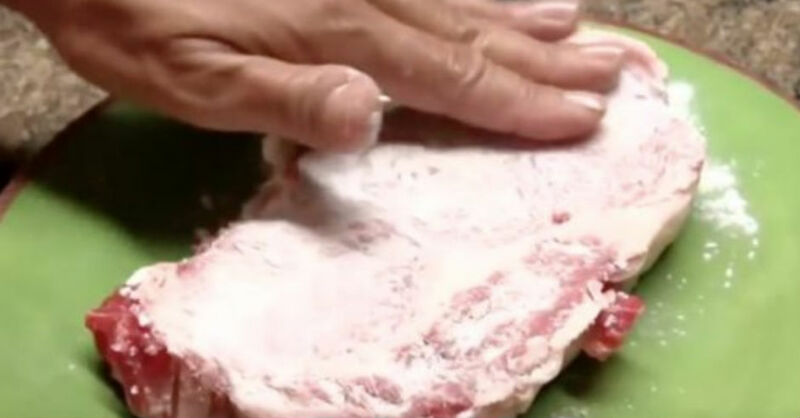 Perhaps most surprisingly, baking soda is a great meat tenderizer. If you want to tenderize a tough piece of meat, rub it with baking soda and let it sit in the refrigerator for about 3-5 hours. Then, rinse off the meat before cooking it. Finally, baking soda can remove musty smelling odors in dressers, cabinets, and closets. Fill the toe of a clean sock with baking soda and put a knot in the top and place it in the corner of the area that needs freshening. Replace it each month as needed. Who would have guessed that such a common household ingredient had so many uses.